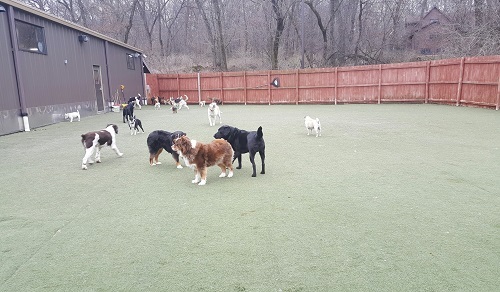 At Old Stone Pet Lodge our daycare is setup to give the pets a fun filled day of exercise and socialization. The daycare room is 1500 sq. ft. with air conditioning and in-floor heat. 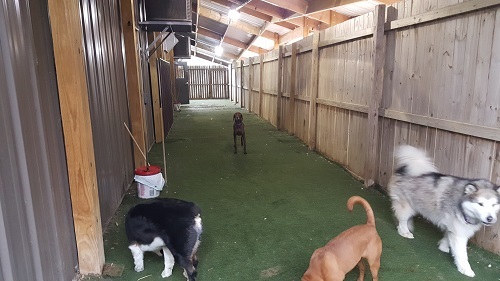 The outside play yard has artificial turf and is covered to keep the pets clean and dry while they are playing. 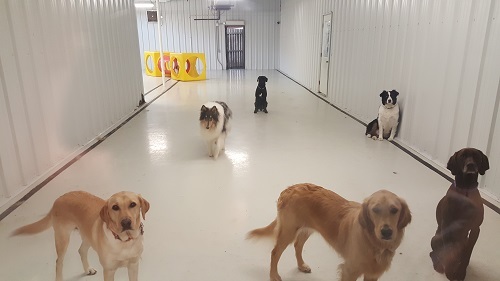 They have access to the play yard year round through a climate controlled door. We require all new pets to go through an evaluation and require proof for vaccinations Rabies, Distemper and Bordetella. Multi Pet and ½ Day Packages also available.